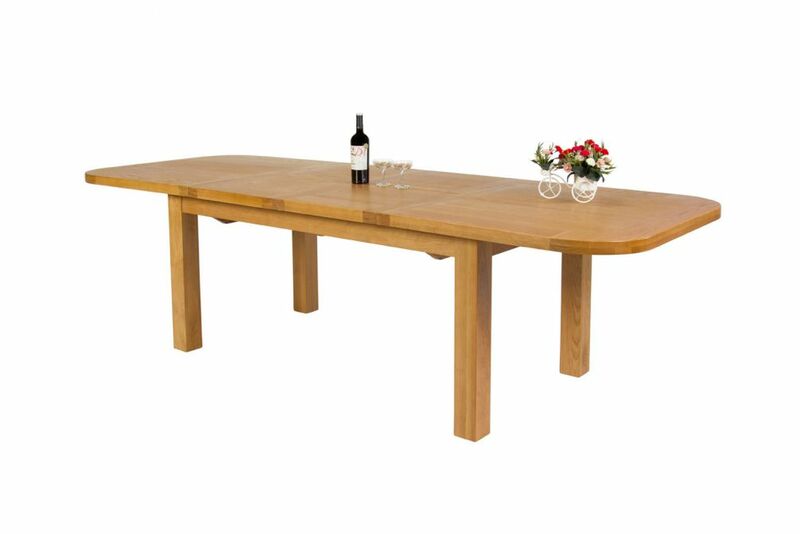 Country Oak double extending 280cm dining table with oval ends. 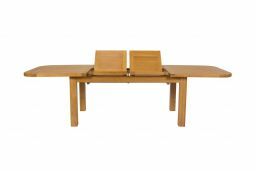 Table extends to 3 different sizes ! 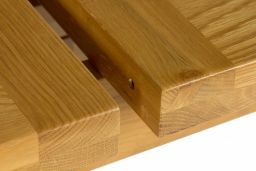 Made from American oak sourced from sustainable managed forests in the US. 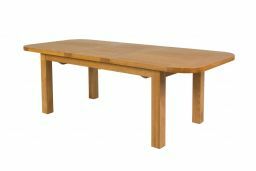 This large 10 seater oak dining table extends with one or two very simple to use butterfly extensions that store below the table top as demonstrated in our video of this dining table to the left. 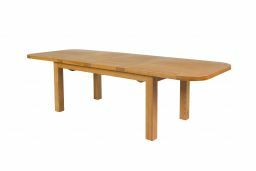 A chunky 40mm thick table top comes as standard and we refuse to compromise on the quality like many of our competitors do by selling wooden tables with thinner cuts of oak to save money. 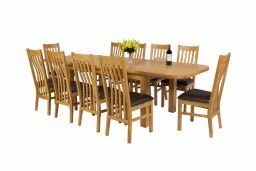 Combine with matching Windermere, Grasmere or Dorchester chairs shown below to get the best possible match and prices. 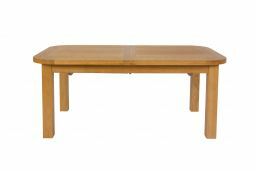 The Country oak range of dining tables are made exclusively for us so you wont find them for sale elsewhere. Seats 8 - 10 people comfortably. 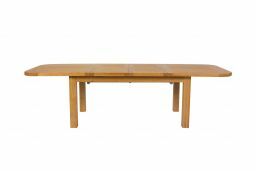 A beautiful quality table at a very reasonable price. 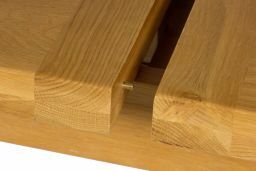 The opening mechanism for the butterfly extensions is very smooth & fit perfectly. 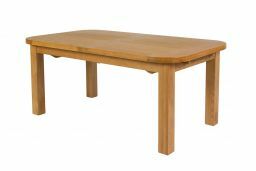 Some tables that extend are not always level on the eating surface when the extensions are used but not this table. Perfectly level. Very pleased. Great table used it for our family gathering on saturday with one butterfly leaf extension used. The only issue i have is if you are very tall you can bump your legs on the extension bar under the table. 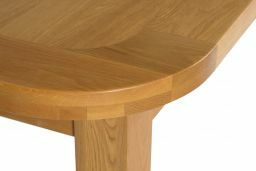 Lovely looking table. Easy to extend to either 230 or 280cm. Exactly what I wanted, and assembled for me and all wrappings removed by delivery men. This is an excellent table, and really good quality when compared with those of similar price from different companies. However, it was delivered without its legs, which was a bit annoying as we had a huge box in the middle of our dining room and nothing to eat off. Otherwise, we have no complaints. 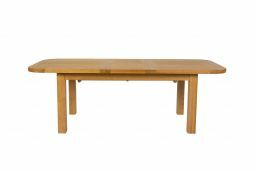 It's solid and sturdy, and extends to a large size. Just what we wanted.